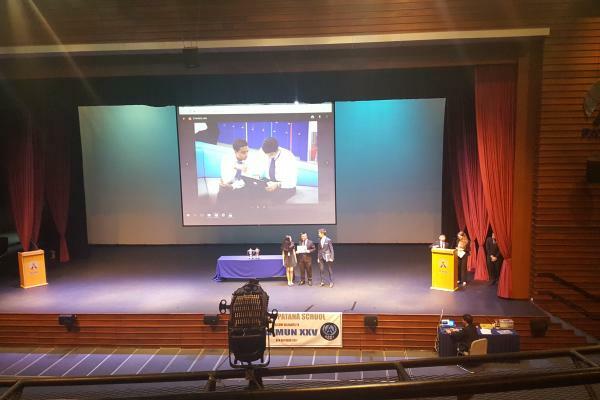 On 8 October 2017, Mr Jimmy and six students from St. Stephens attended the 25th Bangkok Model United Nations Conference at Bangkok Patana School. Students were involved in a full day of speeches, debate and discussion centred around issues of global significance. Model United Nations is an organisation that helps students develop their English, confidence and global awareness. This is the first of a series of conferences coming up in Thailand and will be useful preparation for the three-day FOBISIA MUN conference in December. The event was hard work but all were agreed that it was very successfully run and a most worthwhile experience for all. We are looking forward to the next conference at the end of November.